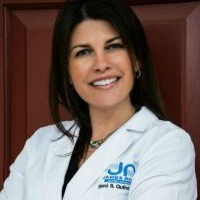 J. Jane Consulting | dr. marci guthrie. 21 Feb dr. marci guthrie. richmond, virginia. | wife. mother. dentist. friend. sister. mentor. Mr. Stern and I recently relocated to Richmond and while there are so many things to love about this historic town, it truly is the people that make Virginia’s capital so inviting. Upon settling, I naturally began to peruse the countless websites for healthcare providers and I stumbled across James River Family Dentistry. My first thought when I navigated my way through Dr. Guthrie’s site was, Wow, she has terrific teeth. But then, I noticed something else… Marci is not just a dentist, she is a community leader and an advocate for the underserved. I grew up without healthcare so I have a true appreciation for those who share their expertise with those who need it the most. Dr. Guthrie served as Chairwoman for the annual Give Kids A Smile event that took place here in Richmond earlier this month. Over 170 area volunteers, including dentists, dental assistants, hygienists, and Shriners, hosted this phenomenal event that gave 400 free teeth cleanings and exams to local students. I am beginning to learn that this is just the Richmond way. I am honored to share Dr. Marci Guthrie’s story today. No doubt, she will inspire you just as she inspires me. Enjoy! How did you choose your career and what inspired the path of dentistry? I naturally loved the sciences and knew I wanted to do something that helped others. While in college, I was seriously injured playing softball. I was pitching and was hit in the mouth by a ball that broke my front tooth. In an instant, my smile was taken. It was devastating; however, my smile was restored after a root canal and crown to repair my tooth. To this day, I will see any emergency patient immediately. When a smile is taken, it can devastate a person’s self-esteem and shake their confidence. I am passionate about helping people through such traumatic events, and feel it is just one of the many benefits of having a career in dentistry. Following my softball accident I decided to pursue a career in dentistry. After all, the best way to handle a negative experience is to turn it into a positive one! I had to be sure I could put my hands in someone’s mouth and wanted to know if I would enjoy the work so I applied for a job as a dental assistant. The job listed “two years experience only need apply.” I had no dental experience, so I took a class to become X-ray certified and called for an interview. What did I have to lose? I was equally excited and nervous when I got a call to come in for an interview. When filling out my application form, there was a question asking how many teeth were in the mouth. I didn’t know the answer and literally had to count my own teeth in the reception room. After my interview, I was hired on the spot and that was the start of my career. I loved my new job and worked there until I was accepted into VCU School of Dentistry. I was fortunate to have the opportunity to work with a passionate dentist who inspired and motivated me for my lifetime career in dentistry. So, how many teeth do people have? It varies. Usually the maximum number of permanent teeth in the mouth is 32, if all wisdom teeth are present. Most have those teeth removed and then are left with 28; although this can be a trick question as I have seen patients with more than four wisdom teeth and/or supernumerary teeth! Fear of failure has been my greatest obstacle. I am my own worst critic and I live in a world of micrometers (dentally-speaking) and daily goals of perfection. It is a constant battle that has gotten better with age, experience, and time. I understand that fear can hold people back from reaching their true potential… but without risk and failure, how can we really learn? I try to manage fear by asking questions to my colleagues, friends, and mentors. Also, I give 100 percent every day, set attainable goals and know my limitations. What is the most difficult thing you have ever done and how has it shaped who you are? Having my own practice was unimaginable for me. We get little business training in dental school; we graduate, head out to do dentistry, and then have to learn to run a practice. I had been an associate for four years and was looking for nine months prior to coming across my practice. Nothing seemed right and I was looking into the possibility of a start up with no patients. After months of researching and networking, I learned about a practice that was for sale in Bon Air. I immediately reached out to the seller and arranged to see it in person that evening. Upon entering, I instantly knew it was going to be my home. The deal was closed within 60 days and the rest is history. Many people discouraged my choice of sole ownership, being a female who may want to have children. I love to take discouraging words and use them as a driving force to succeed. I have owned my practice for almost seven years now. I am happily married and have the ultimate blessing of motherhood. I am the very proud mother of a healthy two-year old girl. Success and achievement are empowering. Set your dreams and goals high. Believe in yourself and anything can be achieved. To date, what has been your greatest lesson learned and how has it helped you? I believe the greatest lessons learned are through life experiences. Experience and knowledge help build confidence and help pave a path for success. I was fortunate to gain experience in my field by working with a dentist who was willing to train me. I instantly loved my job! Having the ability to work in my field and gain experience while in college confirmed that dentistry was for me. I encourage everyone pursuing a career to gain as much experience and knowledge about it as possible prior to jumping in. Find a mentor. Ask questions. Apply for a job in the field. Volunteer your time. Pursue a career that you are passionate about and complete the due diligence to know exactly what it entails. It will be much more valuable and rewarding in the long run. To further my knowledge and refine my skills, I attend continuing education classes, practice management courses, study clubs, workshops and conferences. I am in a forever – changing field and it is important to stay current with new advances for my practice. I always seek for ways to improve my business and myself. I have also built relationships with many mentors who have all helped to shape who I am today by sharing their experiences and knowledge. I am grateful for the many lessons learned. This is a good question. My best advice is to share the words that I try to live by daily. Find what makes you most happy and do it. Don’t take a moment for granted – you only live once and no day is promised. Be kind. Give back. Be appreciative. Have faith. Be present for your family and friends. Eat healthy and exercise. Pick and choose your battles. Wake up positive and choose happiness. Forgive yourself for past mistakes, learn from them, and be better and wiser next time. Enjoy life! To learn more about Marci and her outstanding dental team visit James River Family Dentistry. I have been a patient of Dr. Guthrie for about 8 years now. Dr. Guthrie and her staff are amazing. They are one big happy family and have more love and caring for all of their patients than I have ever seen in any healthcare practice.